Young, talented and want to build their own path to success. Support them by visiting our mini pop-up market. It’s a home of cute adorable stuffs that suitable for your collections or as a gifts. Is it a wrapping paper? No. ITSNOTAWRAPPINGPAPER. It is specially made for you who appreciates the art of giving. It is designed for sentimental people because they are unlike the other wrapping paper. They contain love and secrets, so they want you to unwrap them gently. 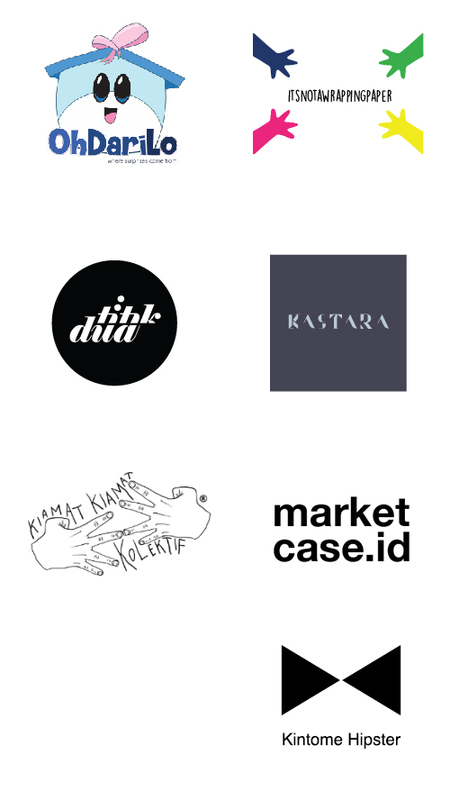 Titik dua is a visual communication design magazine. The team members are students of Visual Communication Design, Binus University. Titik dua stimulate the readers to have critical thinking to build their own perspective as an creative designer. We design, we capture, we eternalize your moment. They said a picture worth 1000 words, but we make it 1001. Kastara is a group of passionate photographeres, designers and visual people who collaborated to unite their interests and skills in a unique way. Our team committed to quality and constant improvement. We always do beyond the limitation, and believe that every pictures has a story and emotion because every moment is special with Kastara Photography. We sell case for iphone for end-user or reseller. Kintome Hipster was a product created as a Project in 2016 by TIE, creating a path, for the hipster to reminisce the era of peace and love. Bringing back the Hipster Vibe for those people who thirst of love and tired of war, for those who seek the truth and escaping the shadow.